Are Vaccines Making Your Child Sick? 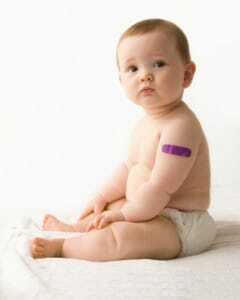 Modern medicine has long promoted vaccines as the most effective measure to prevent the spread of certain illnesses. Measles, Mumps, Polio, and Hepatitis are just a few examples of the illnesses for which we are vaccinated, often before the age of 5. But are vaccines healthy, and should governmental agencies have the right to require the general public to receive them? A number of independent researchers say “No,” citing evidence from a recent study that shows vaccinated children may be more susceptible to certain illnesses than children who have not received routine vaccinations. As research mounts, health professionals and scientists from around the world are beginning to ask an alarming question: Are vaccines actually making children sick? Do Vaccines Make Children Sick? The idea that a vaccine can do more harm than good may seem relatively new to some Americans. However, controversy has surrounded the issue since vaccines were first introduced to the general public more than 200 years ago. Proponents in favor of routine vaccinations argue that they are the most effective way to prevent or eliminate certain illnesses. On the other side of the issue are those who oppose routine vaccinations, countering with a compelling argument that certain diseases are actually beneficial to healthy biological development. A growing number of independent studies are showing a correlation between vaccinations and the development of disease, allergy, and other illness among young children. The Immunization Awareness Society (IAS) is one of the many international organizations that follows this emerging field of research, and they have released an alarming statistic based on a recent New Zealand study of 87 children: Vaccinated children exhibit up to 2-5 times more childhood diseases, illnesses, and allergies than unvaccinated children (i). 1. Share your thoughts & spread awareness. Spreading awareness for this issue is a safe and easy way to promote vaccination research, and there are a couple ways to do so. First, readers may share their thoughts in the Comments section below. Or, readers may spread awareness for this issue by using the Facebook button at the top of the page to “Like” this article. This is an open forum and we welcome discussion, but please be polite and respectful of the opinions of others. Additional data and analysis will help to better understand the ways in which routine vaccinations may adversely affect young children. For parents who wish to contribute to this growing field of research, The Bachmair Study is asking for general medical information for both vaccinated and unvaccinated children through a simple online survey. Parents may complete the survey via Vaccineinjury.info. The article has been produced by the Miami dentist team at Assure a Smile. Readers are invited to learn more about our approach to holistic dentistry by calling 305-274-0047. (i) Claridge, Sue. Unvaccinated Children are Healthier. Pg. 4.